Very sad news in the fashion world: Designer Kate Spade has died in New York City at age 55 of an apparent suicide. She was discovered by her housekeeper Tuesday morning in her Park Avenue home, TMZ reports. The designer, born Katherine Noel Brosnahan, got her start in fashion while working as a salesperson in a men’s clothing store while attending college in Phoenix, where she met and fell in love with fellow salesperson Andy Spade (brother of comedian David Spade; Kate is also the aunt of Golden Globe-winning actress Rachel Brosnahan). 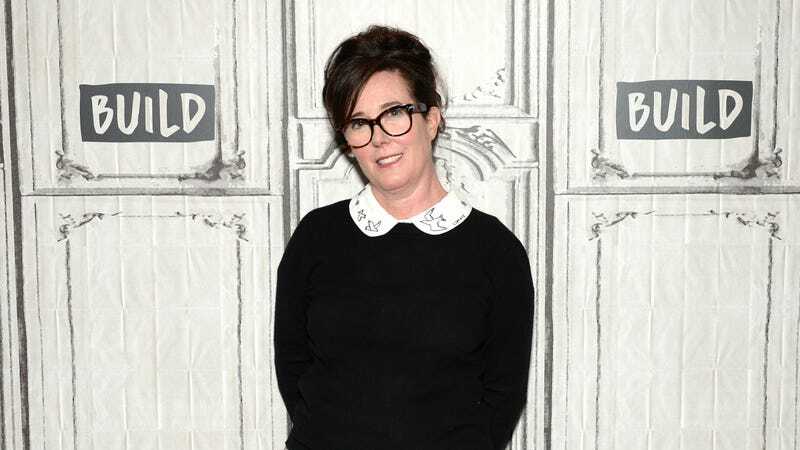 When the two relocated to New York City, Kate Spade took a position in the accessories department of the now-defunct Mademoiselle magazine in 1986, becoming senior fashion editor and head of accessories by her departure five years later. The experience would serve her well as, with the help of her husband, she was inspired to launch her own eponymous line of handbags in 1993. Bolstered by clean lines, ladylike details and the support of Spade’s friends in the fashion community, the line was an almost instant success. While initially focused solely on handbags, the Kate Spade brand would eventually expand to become a lifestyle empire, including clothing, shoes, accessories, fragrances, bed and bath, a men’s line (called Jack Spade) and baby items. The couple would welcome their own baby in 2005, selling their company to shareholder Neiman Marcus in 2007 to focus on raising their daughter. In 2016, Kate Spade would return to designing with her longtime partners to launch Frances Valentine, a line of luxury footwear and handbags named in part after her daughter. While Spade purportedly left a note, there has been no public explanation given as to why the designer hanged herself. She leaves behind husband Andy and 13-year-old daughter Frances, as well as a fashion legacy and legions of fans. The National Suicide Prevention Lifeline provides free and confidential emotional support to people in suicidal crisis or emotional distress 24 hours a day, seven days a week. If you or anyone you know is contemplating suicide, please seek help at 800-273-8255 or 888-628-9454 (en español).